Two New Flavors. Twice the Fun. Say hello to graham cracker and chocolate flavored phyllo shells! Enjoy the same crispy, crunchy texture only phyllo can deliver, in two sweet flavors you can’t resist. Our team of chefs set out to give our dough a sweet makeover. They crushed it, and now, you’re getting a sneak peek at the shells before they hit shelves in October. 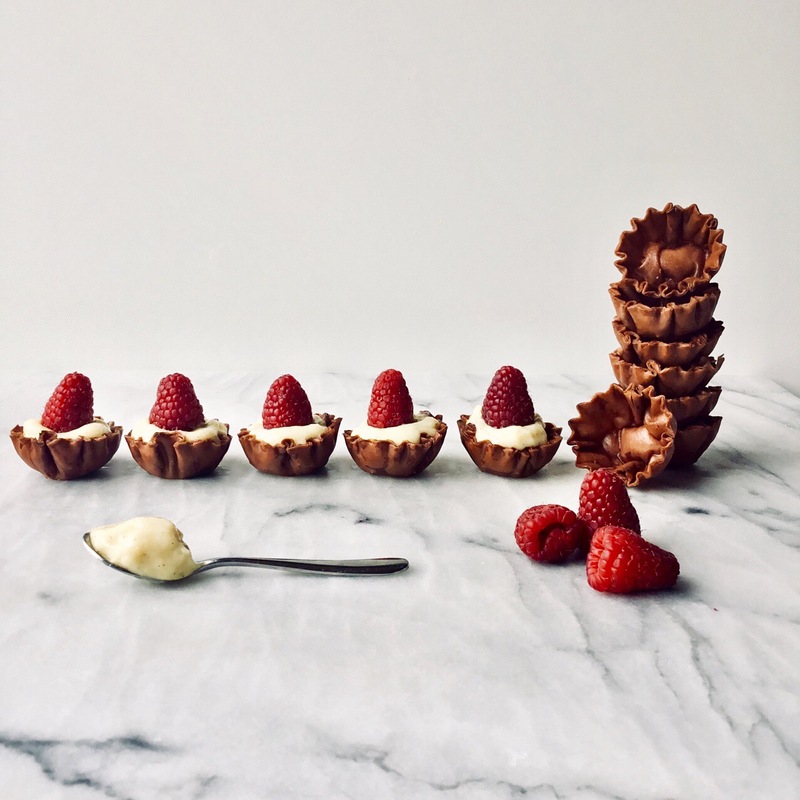 From graham cracker key lime tarts to coffee mousse served in chocolate phyllo “crust” — there’s a whole lot of potential packed in these tiny bites. We gave a couple of our favorite foodie influencers the chance to play around with our latest creation. Chef Grace Ramirez immediately got in the kitchen, filling the shells with dollops of vanilla ice cream, fresh berries, mint leaves and strawberry sugar. Yum. Bebe Black Carminito of Champagne & Cookies went to work on a raspberry tartlet made with our chocolate shells. The “perfect vessel for pastry cream,” she said, “the shells stay crispy, even when filled” … a big plus for a buffet-style gathering with friends. So, what will you do with these flavor-packed shells? Tag us in your posts, and let us know!